The demand for home services is great as residential areas need constant maintenance. The best way to find such services is on the Internet and by starting a website, your services will be accessible and known to all. You don’t need to learn how to build a website, using templates is enough. Cleaning Company WordPress theme that is a designed for housekeeping and maintenance websites. It has a design that is professional and creative and it has a variety of technical features. Some of its features include advanced menu system, SEO optimization, 600+ fonts, and unlimited colors. 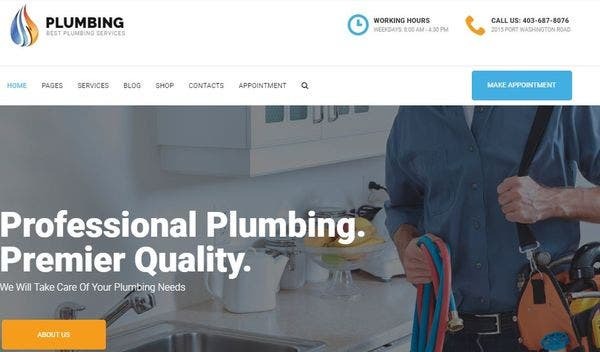 Plumbing is a WordPress theme crafted for plumbing and home maintenance local business websites. Its design is professional and smart and uses images and other visual content as part of its overall design. Plumbing’s features include Twitter widget, Bootstrap 3, Unyson framework, and free fonts and icons. 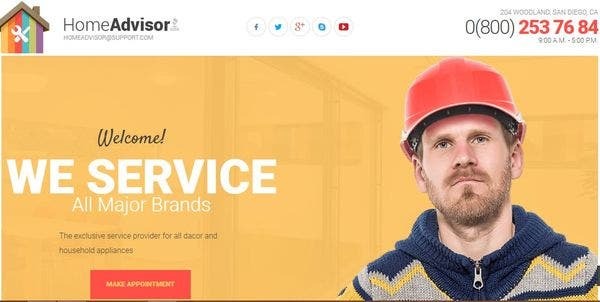 Home Advisor is a modern WordPress theme crafted for appliance repair and home maintenance websites. The design of this theme is creative and uses a lot graphics in its design to add to its appeal. Home Advisor’s features include Bootstrap 3, cross browser compatibility, SEO optimization, and 3 home page layouts. 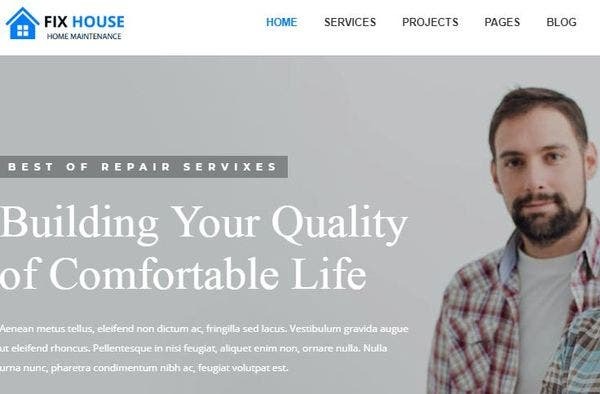 HomeCare is a WordPress theme that is crafted for house maintenance and handyman repair service websites. Its design is minimalistic and smart and uses a good combination of white and blue for background colors. HomeCare’s features include Elementor Page Builder, JetElements, Cherry plugins, and bonus images. LT Inclean is a WordPress theme that has been created for house cleaning and housekeeping websites. Its design is modern and neat and it uses images and videos to make the design appealing. Its features include Bootstrap CSS & Hybrid framework, drag–drop layout theme, color picker and strong shortcodes. 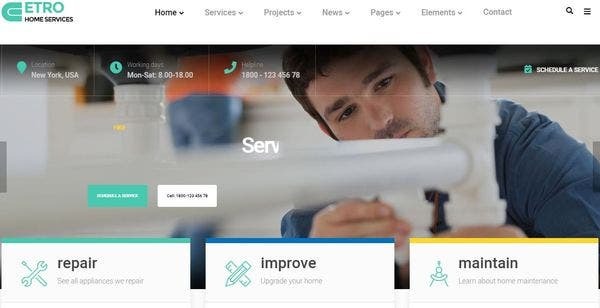 Hmend is a WordPress theme that is created for repair service and home maintenance websites. The design of this theme is clean and professional and has a variety of technical features. Its features include Preset Page Layout, Added Video, W3C-Valid HTML Code, and Unlimited Color Customization. 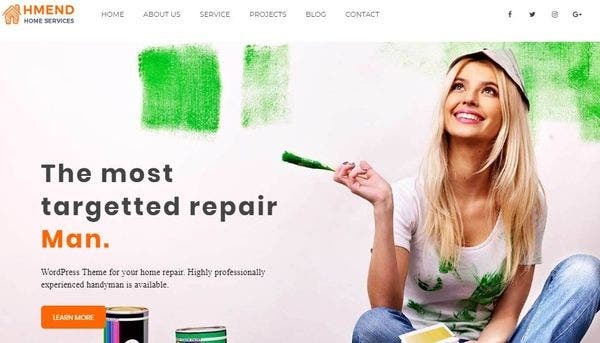 Etro is a stylish WordPress theme designed for repair and house maintenance service websites. This theme’s design is stylish and classy and uses a good color combination and plenty of images in Its design. Some of Its features include RTL support, 6+ home page layouts, SEO optimization, and Opal plugins. 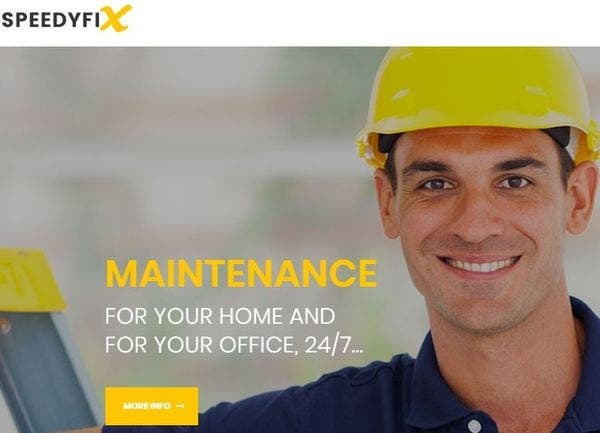 SpeedyFix is a drag-and-drop WordPress theme that has been crafted for repairman and handyman service websites. The design of this theme is classy and clean and its technical features make it a fully responsive theme. Its features include drag-and-drop page builder, custom widgets, parallax scrolling, and Google Fonts integration. 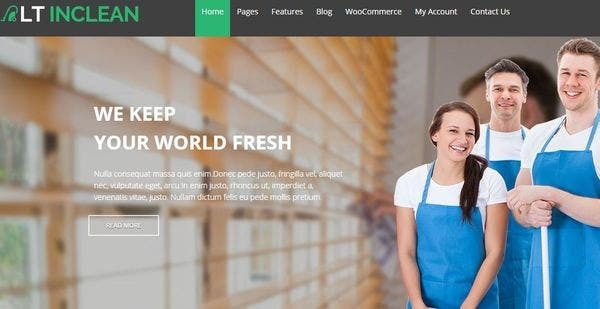 Cleanextreme is a WooCommerce WordPress theme that has been crafted for cleaning service and housekeeping websites. It has a design that is smart and professional and comes with lots of technical features. Cleanextreme’s features include WooCommerce compatibility, Favicon Upload, CSS3 animations, and unlimited shortcodes. 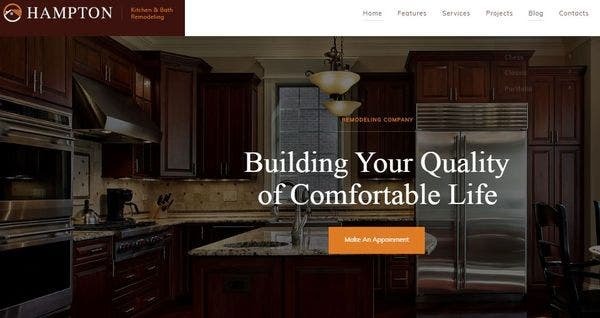 RepairMe is a responsive WordPress theme that was designed for home appliance repair and maintenance websites. The design of this theme is sleek and smart and its technical features add to its functionality. Some of its features include valid HTML5 coding, free fonts, custom widgets, and Unyson support. 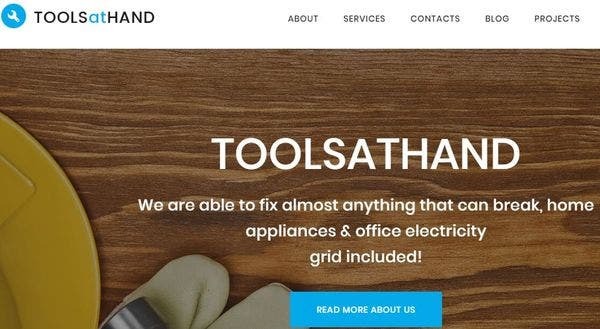 Tools At Hand is a WordPress theme that is designed for repair service and handyman websites. This theme’s design is creative and classy and it has a lot of amazing technical features. Some of its features include multiple layout options, content modules, custom widgets, and SEO optimization. 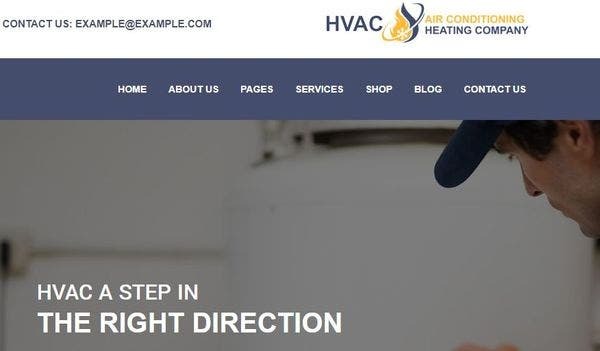 HVAC Services is a WordPress theme that is created for handyman and house maintenance websites. This theme’s design is clean and smart and has many technical features that make it easy to use. Its features include one-click demo installation, visual page builder, appointments and schedule checker, and fully responsive design theme. Hampton is a SEO friendly WordPress theme that is crafted for renovation and home maintenance websites. The design of this theme is classy and professional and its technical features make it easy to navigate. Some of its features include Essential Grid, Visual Composer, Instagram Feed, and WPML. 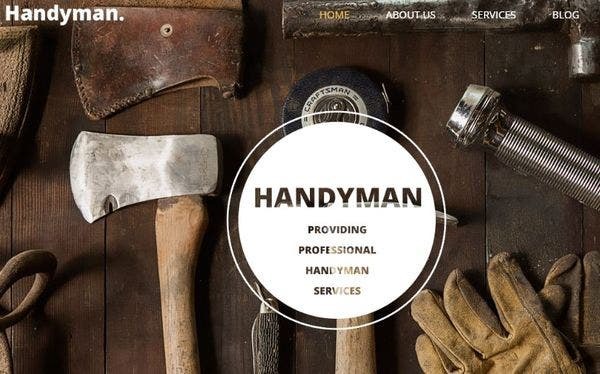 Handyman is a WordPress theme designed specially for handyman and house repair servicing websites. Its design is minimalistic yet smart and uses plenty of images and other visual content. 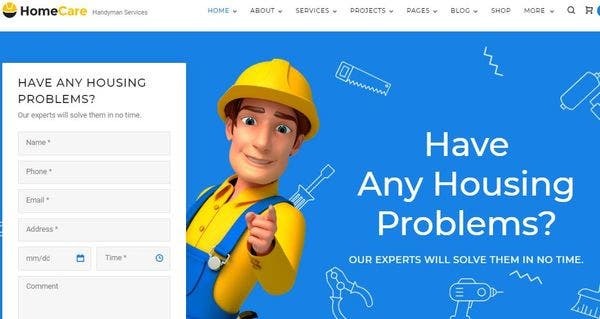 Handyman’s features include mega menu, parallax scrolling, Visual Customizer, and SEO optimization. 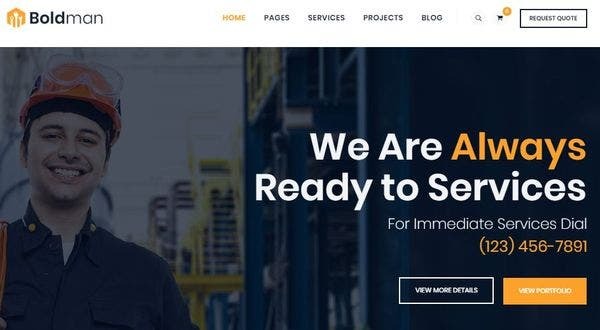 FixHouse is a classy WordPress theme that was designed for plumbing and electrical services websites. Its design is sleek and modern and uses images and videos as a part of its design. FixHouse’s features include WPBakery Page Builder, WooCommerce support, Instagram Feed, and SEO Optimization. 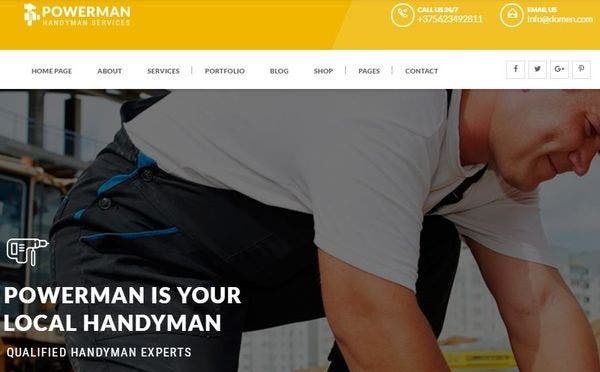 Boldman is a WordPress theme that is created for handyman and house maintenance based business websites. This theme’s design is modern and classy and uses a beautiful color combination and lots of technical features. Its features include W3C-validated code, BooKed booking plugin, WooCommerce plugin, and Visual Composer. 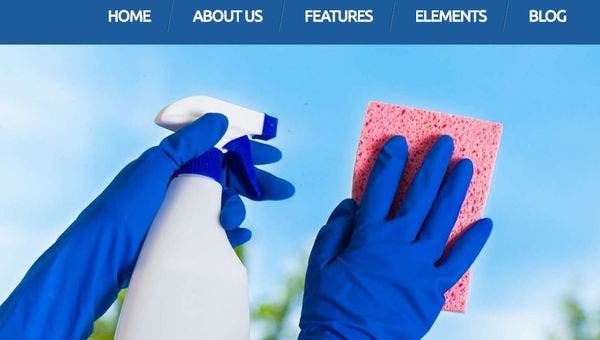 Powerman is a new cleaning WordPress theme that has been designed for handyman and home maintenance service websites. This theme’s design is minimalistic and bright and its technical features make it highly responsive. Some of its features include color customizer, Visual Composer, Revolution Slider, and 3 home page layouts. 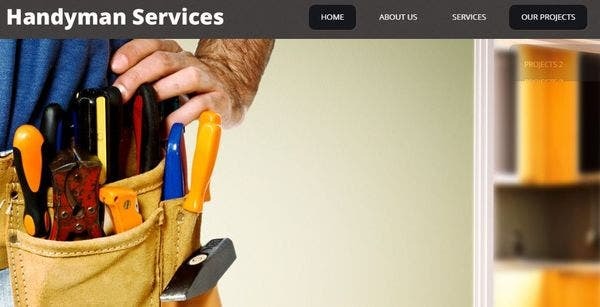 Impressive Handyman Services is a WordPress theme that is created for repair and handyman service websites. This theme’s design is professional and stylish and has many technical features that make it very responsive. Some of Its features include 80+ shortcodes, WPML certification, custom posts and post formats, and 600+ Google Fonts. These are some of the themes that can be used for home services and maintenance websites. 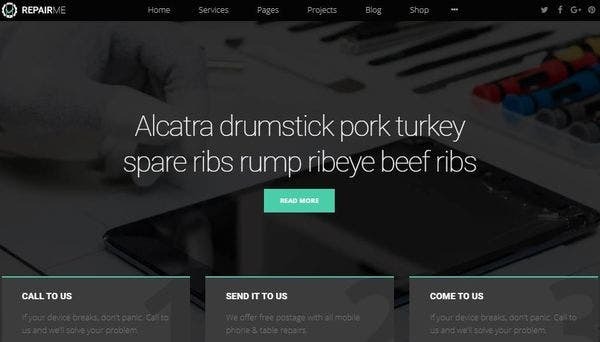 Check these templates out before you start designing your website and get your design without any hassle today!